It’s one of the most popular sporting questions appearing in search engines, and one that also brings great debate amongst football fans around the world, because just how do you rank the most prolific goalscorers of all time? 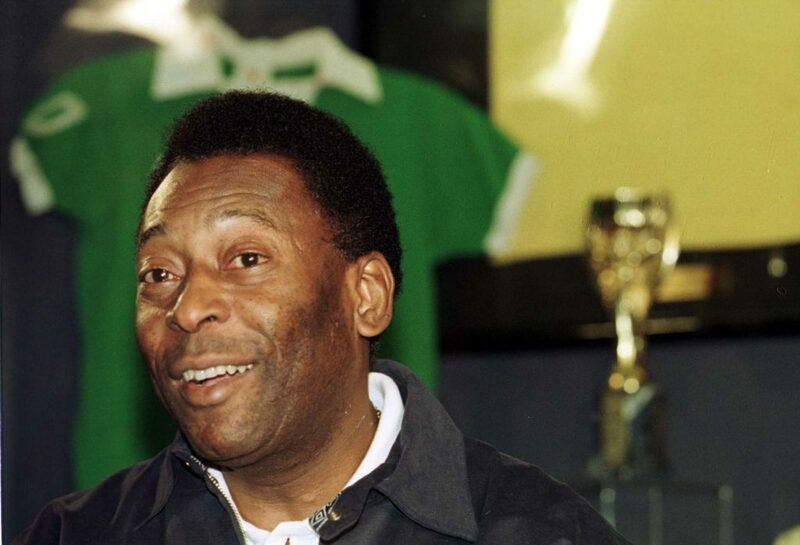 Often considered one of the greatest players ever to grace a football pitch, for many years Pele was also believed to be the greatest scorer in football history, with 1,281 goals during his illustrious career. However, recent research suggests it was another Brazilian playing decades before who actually boasts the highest ever tally of goals, with Arthur Friedenreich banging in 1,329 during his era between 1909 and 1935 – and he never featured for Brazil at either of the first two World Cup tournaments. What makes things even more interesting is that despite their impressive total numbers, neither Pele or Friedenreich can rightfully claim to be the most prolific scorers of all time, simply because many of their goals were scored in exhibition matches or cup competitions that weren’t considered top-level. So, who really are the most prolific goalscorers of all time? To genuinely answer that question, we need to establish some rules, because after all, scoring a hat-trick in an exhibition game against amateur opponents can’t genuinely be considered the same as achieving the same feat in a World Cup or Premier League match. For that reason, we’ve only taken account of goals scored in official matches with national teams and at clubs in top flight league competitions. To define what ‘prolific’ actually means, we also need to focus on the scoring ratio of each player, which means dividing the total number of goals scored, by the total number of games played. Likewise, and to avoid ‘flash in the pan’ players who were only prolific goalscorers for short periods of time, we’ve only included players who scored more than 500 verified goals in official competitions. Inevitably, we start with a player who is still considered the greatest scorer of all time by many, and although Pele racked up a phenomenal amount of goals, he is neither the highest scorer in official matches, nor does he boast the highest goals per game ratio of all time. After making his breakthrough with Santos FC aged just 15, by the age of 16 Pele had already become the top scorer in the Brazilian league and made his international debut, scoring in a 2-1 defeat by Argentina. At the age of 17, he shot to global fame as the youngest player featuring at the 1958 World Cup, which Brazil went on to win. A legend was born and in a total of 831 appearances with Santos FC and Brazil over the course of 20 years, Pele scored 767 goals in top-level 831 games, achieving a ratio of 0.922 goals per game. Squeaking just ahead of Pele as one of the most prolific goalscorers of all time is Gerd Müller, who was lovingly known as ‘Der Bomber’ by German fans. Renowned for his clinical finishing, he still boasts an impressive record of having scored more international goals than games played for West Germany, between 1966 and 1974, also winning the 1972 European Championship and 1974 World Cup. After scoring 51 goals in 31 appearances for his first club, 1861 Nördlingen, Müller quickly caught the attention of Bavarian giants Bayern Munich, where he went on to become a household name in a team that dominated the Bundesliga, also winning the European Cup three times in a row. Through the entirety of his illustrious career, Müller scored an impressive 735 goals in 793 matches for club and country, achieving a ratio of 0.926 goals per game. 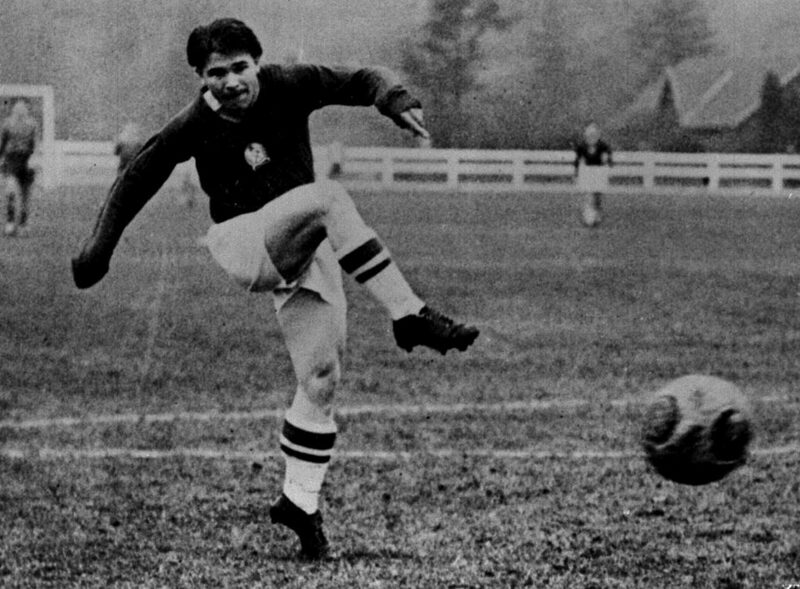 In the post-war era, there’s arguably no greater goalscorer in European football history than legendary net-buster, Ferenc Puskás. At Budapest Honvéd between 1943 and 1955, he’d already built himself a reputation as a prolific striker with over 400 goals to his name, which might have been more were it not for the Hungarian Revolution in 1956 interrupting his career. Puskás scored 84 goals in 85 international appearances and captained the Hungarian national team when they were known as the Magnificent Magyars during the 1950s. He almost moved to Manchester United after the tragic 1958 Munich air disaster, but due to stringent English FA rules regarding foreign players at the time, the transfer was blocked. Instead, aged 31, Puskás headed to Spain and formed a legendary attacking partnership with Alfredo Di Stéfano at Real Madrid, winning five consecutive La Liga titles and the European Cup three times. After gaining Spanish citizenship in 1962, Puskás represented his adopted country four times but surprisingly failed to score a single goal. Nevertheless, his overall legacy was 746 goals in 754 top-level appearances before retiring in 1966, registering a ratio of 0.989 goals per game. National borders changed frequently when Josef Bican was in his footballing prime, which led to him representing the national teams of both Austria and Czechoslovakia, along with a solitary appearance and hat-trick for Bohemia and Moravia in 1939. At all but three of the eight clubs he played for during his extensive career between 1928 and 1955, Bican also boasted a remarkable record of scoring more goals than games played. The most iconic period of Bican’s career came during his time with Slavia Prague between 1937 and 1948, when he scored an unbeatable club record 395 goals in 217 appearances. Preferring to remain in Prague, he even turned down the chance of a lucrative move to Juventus in 1946, choosing to see out the remainder of his career in Czechoslovakia. Such was his scoring record, the International Federation of Football History and Statistics (IFFHS) awarded the “Golden Ball” to Bican, recognising him as having being the greatest goalscorer of the 20th Century, thanks to the remarkable feat of scoring 805 goals in 530 official matches, producing a ratio of 1.518 goals per game. Older football enthusiasts still believe Eusébio was the greatest Portuguese player of all time, while the modern generation of fans hail Real Madrid’s Champions League hero Cristiano Ronaldo as being the greatest player around. However, even though both are amongst the greatest goalscorers of all time, neither can lay claim to being the most prolific. That record belongs firmly at the feet of Fernando Peyroteo, who was an authentic goal-machine during the 1930s and 1940s, with his goals per game ratio that has never been beaten by any player in the history of world football. Peyroteo’s phenomenal scoring ability was spotted at an early age in Angola, where he was quickly signed up by Sporting Luanda, which was the local franchise of Portuguese giants, Sporting CP. Needless to say, after scoring an incredible 106 goals in 43 games during just one season, he was soon packing his bags and heading for the top-flight in Portugal. Over the course of 12 years, his combined tally of league and cup goals was higher than his number of games played, every season and without exception. 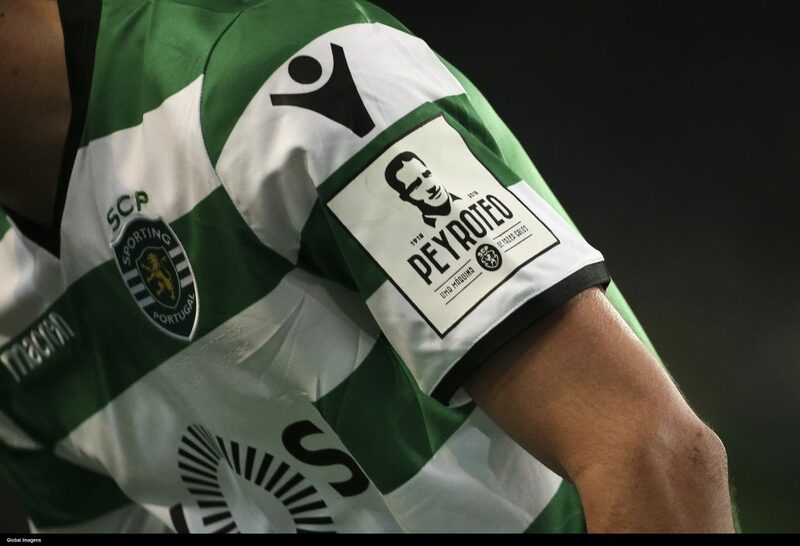 With a verified ratio of 1.54 goals per game, having scored 544 goals in just 354 official appearances for Sporting CP and the Portuguese national team, Peyroteo is currently recognised as statistically being the most prolific goalscorer of all time.